Hiring large bamboo plants is a fantastic choice of plant to help create themes, hide unsightly objects or dress a space. The large bamboos are very dense plants with a mass of thousands of leaves and large number of canes per plant. The main bamboos that we have available for rent is mainly Phyllostachys Aurea & Phyllostachys Bissetii both of which have green canes a deep green leaves and provide a very refreshing look and feel. There is now also a selection of extra large bamboo, especially for very large venues like exhibition halls and conference centres for clients who need to find easy ways to create impact without having a massive budget. Some of the plants are in excess of 7ft wide and gloriously lush. One of the main hidden benefits to renting large bamboos plants is the ability to be able to conceal high-powered LED within the plants to create superb lighting effects for nighttime or add ambience to poorly or dimly illuminated rooms. Other bamboo plants in the hire range include small bamboo plants, medium bamboo plants, Arrow Bamboo also see our bamboo wall. 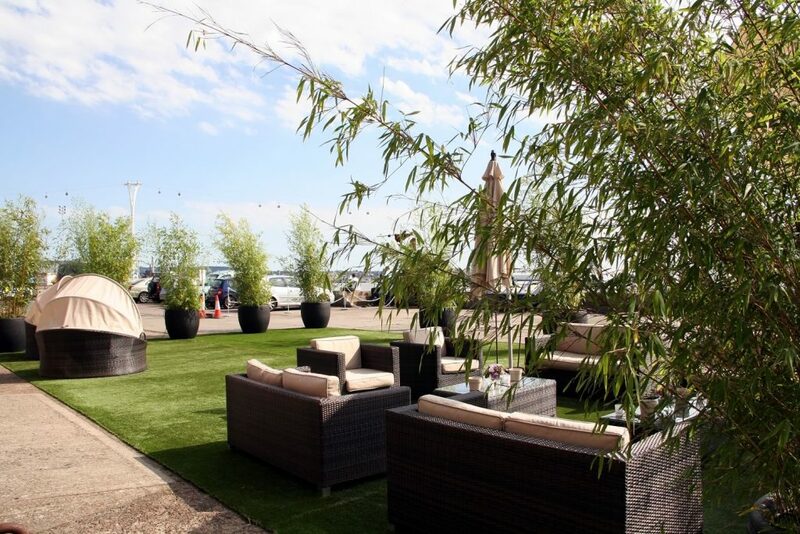 Bamboo Hire Period: Outdoor & indoor, all year round. Slight leaf drop and may occur when inside for more than 3 days in rooms with little daylight. Bamboo & Planter Hire Charge Per Unit: Large Bamboos from £45, extra large from £60. Discounts available for large quantity or long-term hires and leasing. If you are looking for bamboo or plants that we have not listed please call us 07929 121347, if we haven’t got it we can probably get it!